An option is a great tool even for an investor. 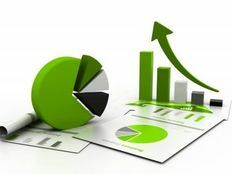 The covered call option strategy is commonly used by traders and investors who are holding stock, but seek an income stream from that investment. Before implementing a covered call options strategy the trader or investor should know what a covered call is, how the strategy works, when and why to implement it as well as the pros and cons of the strategy. This is where the covered call strategy comes in. If you own 100 shares of XYXYZ you can write a call option on that stock, with a strike price that’s above the current share price. For this you’ll receive a premium/income (from the buyer of the option). Be sure to also read about the 3 Ways to Exit a Profitable Trade. When writing a call, your profit (on the call) is limited to the premium received. Since you own the stock your risk on the written call option is limited. The shares you own are still susceptible to decline. Assume XYXYZ is trading at $50, and you decide to write a covered call option on the stock with a strike price of $52. The option premium is $1, so you receive $100 ($1 × 100 shares). If the price does nothing and the stock price is below $52 when the option expires you keep the stock, and you made $100 on the option premium. If the stock price is above $52 at expiry, you give up your shares because the option buyer has the right to purchase your shares from you at $52. This is actually a favorable outcome, since you profited up to the $52 on the shares (up from $50 when you wrote the option) and you made $100 on the option, effectively netting $53 per share. If the price of the stock drops, the option offsets your total loss on the stock by $100. The graph below shows how this works. Profit potential is the Y axis while the price of the stock is the X axis. As the price drops, so does the profit, but it’s offset by the premium received. The premium increases profit if the stock doesn’t move, and the profit potential plateaus if the price moves above the strike price. The strategy is used for different reasons and at different times. If a stock isn’t going up or down, you can get some income out of it by writing covered calls. The stock may be a low volatility dividend-paying stock, but you want to increase your income from the stock by writing calls options. Careful here though, if you really like the stock you don’t want to have it called away if the stock price goes above the strike price. 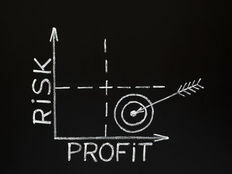 If a stock you own has had a nice run higher, and you want to take profits, writing a covered call is one way to do it. If the price keeps going above the strike price your stock will be called away (you don’t own it anymore, the call buyer does) and you have the premium as a bonus. If the stock starts to drop you can sell it, keeping the premium as a bonus. In this case be sure to close the option trade, if it hasn’t already expired, at the same time you sell the stock. If you don’t, you’re “naked,” and if the stock price sky rockets you no longer have the shares to give to the call buyer. This means you’ll need to buy them at market price resulting in a big cost/loss. Learn about How to Profit in a Sideways Market. If the stock is dropping and you think it could drop further, sell it. Don’t write covered calls on it. The premium received from the options won’t be enough to offset the price drop of plummeting stock. Consider the following example using Macy’s (M) stock. The price was trending higher but has now leveled off, ranging between $55 and $63. The price is currently $57.64. You decide to write a covered call on the 100 shares you own of M, with a strike price at $62.50 and an expiry three and half months into the future (it’s the start of November and you choose a February expiry). If the price falls, the premium received helps offset your losses, and you can always sell the shares and close your written call for a small profit (since the price has dropped the price you pay to buy/offset your call should be lower than what someone paid you for it). Current options prices are available from the Chicago Board Options Exchange. Someone is willing to buy this option at $1.46; since there’s no volume you’ll want to sell to this buyer and take the $1.46 (premiums will constantly fluctuate as the price of the stock fluctuates). If the price rises above $62.50 you keep the option premium and get out near the top of the range. You get $62.50 for your shares plus the $1.46 premium, which means you effectively netted $63.96 on your shares. You give up gains if the stock continues to rise though, and if the stock plummets the premium only offsets $146 of the loss. Options trades incur commissions, which will slightly reduce the premium received. Commissions aren’t factored into the above scenarios. Also, as the premium chart above shows, there’s isn’t always volume in options. That means it may be impossible to actually establish the option position exactly how you’d like. See also 4 Ways to Exit a Losing Trade. 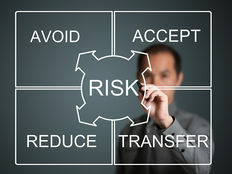 A covered call is one of the simplest option strategies; it provides additional income, but caps your gain. If you really want maintain a position in a stock, then covered calls may not be for you, since your stock may be called away. Options are flexible in that you can close them at any time, realizing a profit loss on the option position only. You don’t need to give up your stock. If you hold the option till expiry, you’ll have profited the entire premium if the price is below the strike price, or you’ll give up your stock if the price is above the strike. The ideal scenario is when you get to keep the stock, the stock doesn’t really move, and you get the premium income. Unfortunately, in low volatility stocks the premium is usually very small, so the income potential is also very small. A covered call strategy isn’t one you have to use, but it should be in your trading tool belt. The covered call provides a bump in income, while helping reduce some downside risk. For this you give up profit potential if the stock skyrockets. This shouldn’t be a major concern though, especially if you’re seeking an exit anyway. If you decide to sell your stock, close the option position as well, as a written call with no stock means you’re exposed to potentially large losses.